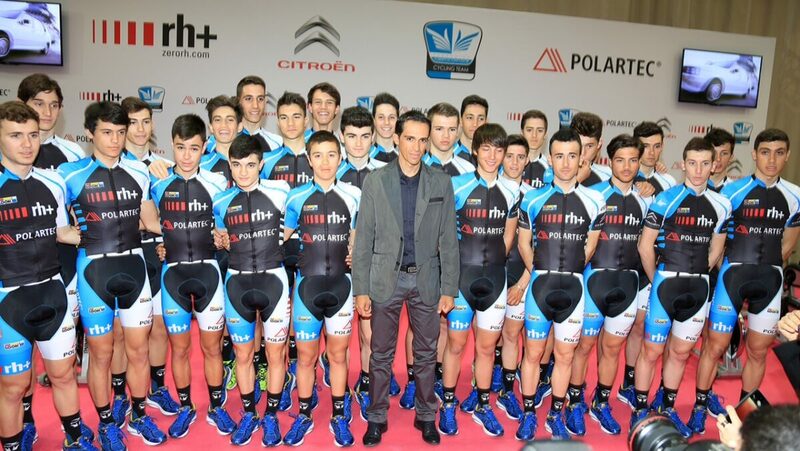 Alberto Contador attended today at the Spanish Sports Council to the official presentation of his RH + / Polartec Junior and Under 23 Teams, with which the Foundation that bears his name continues for the fourth season its support to biking base. With the presence of the Minister of Sports, Miguel Cardenal, and the presidents of the Spanish and Madrilenian Cycling Federations, José Luis López Cerrón and Francisco Javier Fernández Alba, respectively, the Alberto Contador Foundation Teams presented the novelties of this season, where changes its main sponsors, RH+ and Polartec, the first being the supplier of the casual and competition clothes, helmets and goggles, and the second is the manufacturer of special fabrics with which have been made all the teams garments. Beside them, also highlighs the support, for the second season, of Citroen as provider of competition and transport vehicles as well as organizer of a presentation that highlighted as leitmotiv the intention of finding a sponsor to complete this adventure in 2017 with the creation of a professional team, in which Alberto Contador himself would be willing to prolong his career with the same ambitions of this year: to fight for another victory in the Tour de France.  “The goal is to keep growing and so the next step is to have a professional team. We are working hard, but we know it is difficult, especially because we want to start at the highest level, being in the Tour de France”, said the leader of Tinkoff Team. Among the two reasons that can motivate Alberto to remain active after 2016, Alberto said it is “to be unable to jell a season as I will, fighting for victory in the Tour, and also be able to have my own team in which keep fighting at the highest level, which ever is closer”. But until it hapens, Contador said he was totally focused on this season, which begins on Wednesday in the Tour of Algarve. “This is my last year in the Tinkoff team and I am focused on making a great season. It is also the last year of Oleg Tinkov as a sponsor and everyone in the team are working hard to get the best wins. I have big goals this year with the Tour and the Olympics and for that I am working very hard”. 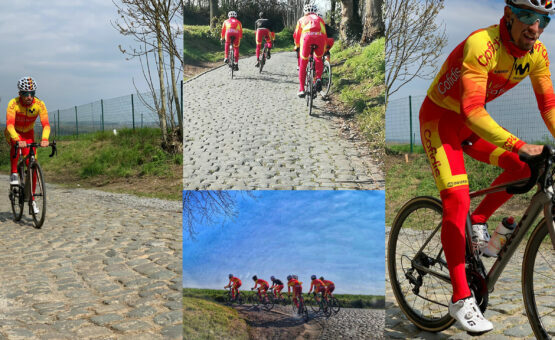 Thinking on his debut in Portugal, Alberto Contador says that reach this first race of the year “with confidence. I’ve done a good base work in winter and so quietly. 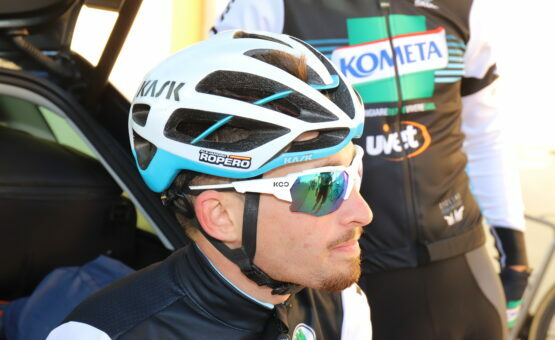 I start a little later than other years and maybe with less competition pace in the opening races over other rivals, but for the long term I think it will be good”. The Secretary of State for Sport, Miguel Cardenal, closed the event emphasizing the importance of being able to host a presentation of a cycling team at the headquarters of the CSD and what that meant. He also thanked Alberto Contador his commitment to the future of cycling and encouraged to support the most of this type of initiative to get back to the glory years in which Spain had more rideres, races and teams than currently exist. 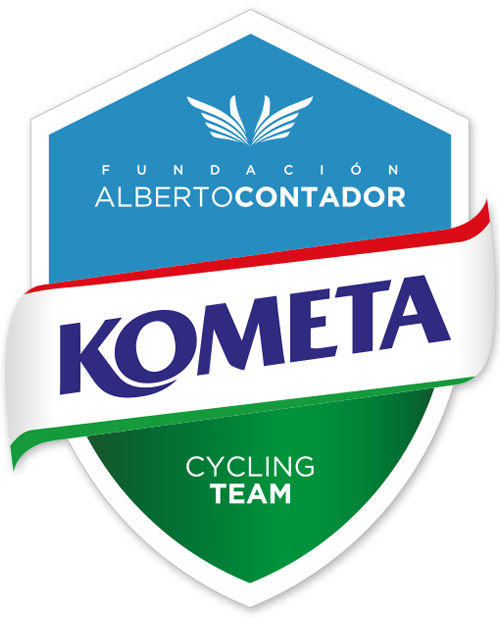 In 2016, the Alberto Contador Foundation will feature 26 riders, 13 in the RH+ / Polartec Junior team and the same in the Under 23 squad, where there are the only two forein cyclists, the Italian Daniele Cantoni and French Marin Joublot, which are a sample of the international nature of this project. The debut in competition will take place, as every year, at the Circuito del Guadiana, in Don Benito (Extremadura), next 20 and 21 February.